The explorer William Hovell came across the part of Western Port that is now Tooradin in 1827. European sealers had come and gone from the foreshore since the early 1800s, but no permanent settlement had been achieved. 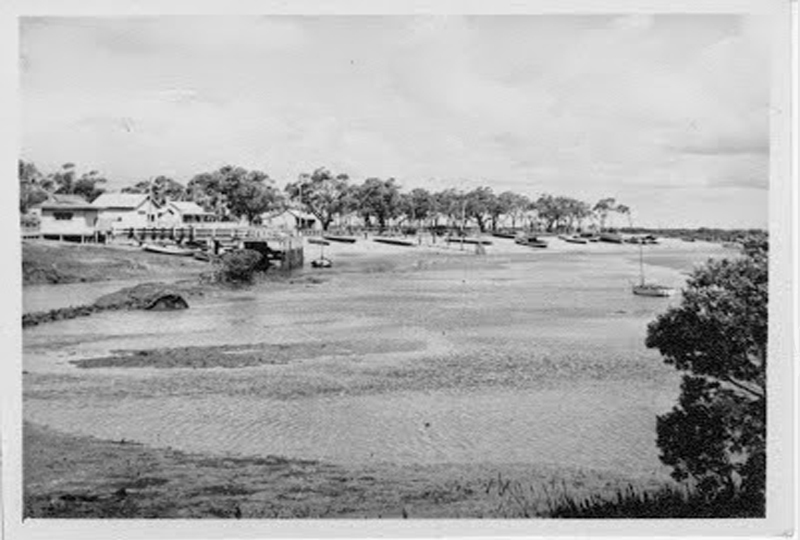 Both the French and the English had expressed interest in the swampy land of Western Port in the early 1800s. Tooradin was originally the home of the Western Port Aboriginal people called the Bunurong. 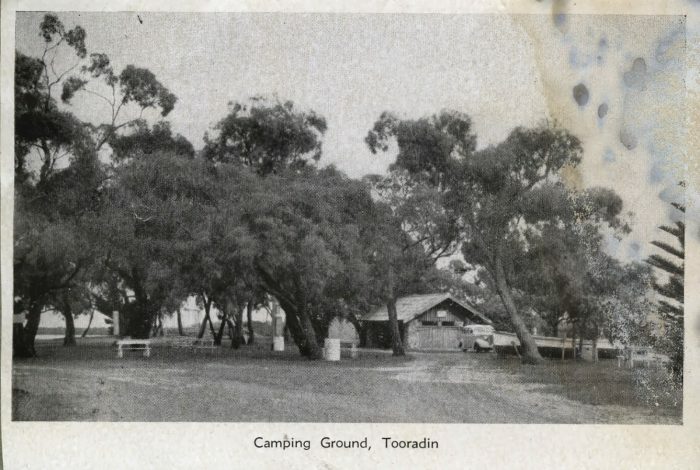 They had lived in this place for thousands of years. 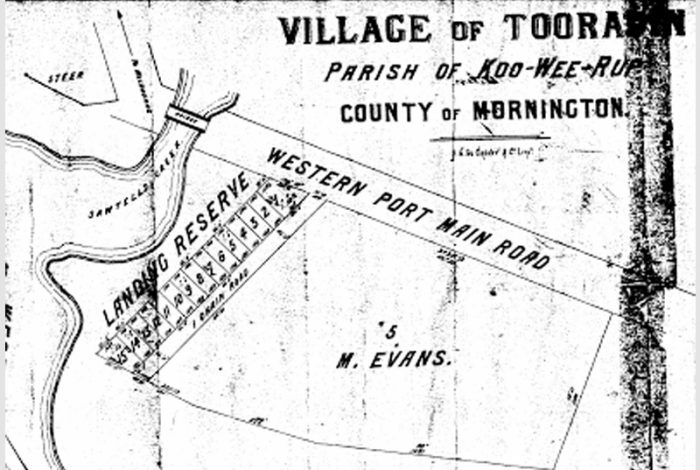 It was not until 1839 that European settlers began to take up the cattle runs and settle in the area. 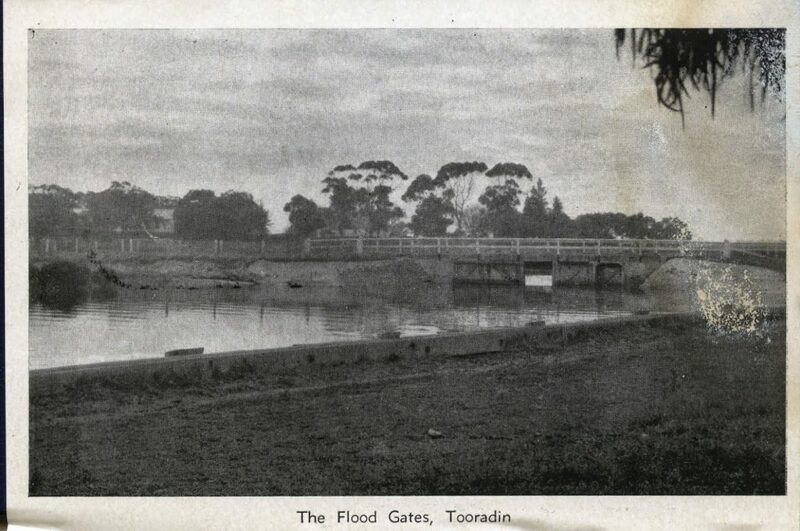 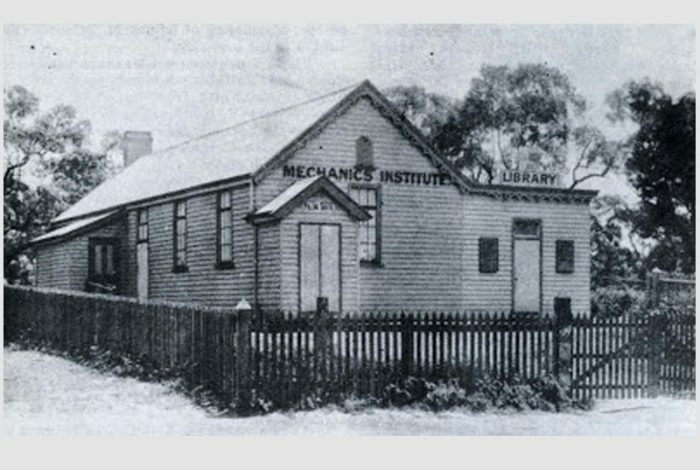 Tooradin was part of the Yallock Creek run and was surveyed for a township in about 1854. 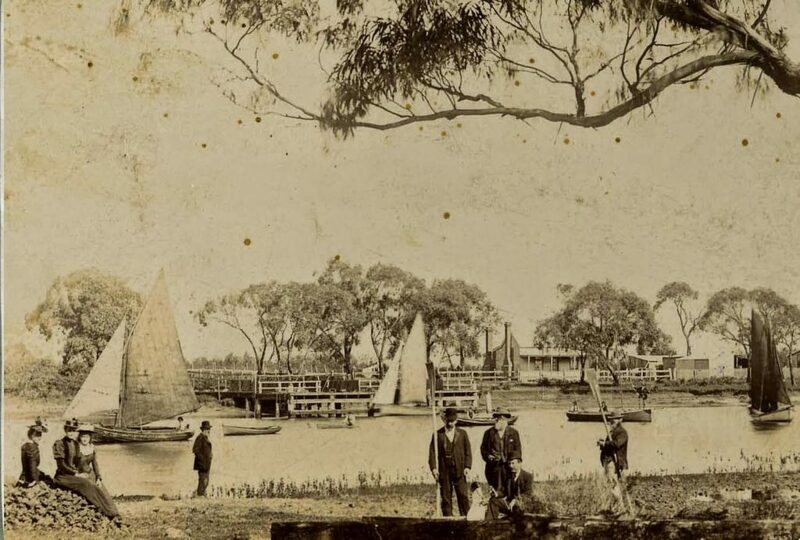 Access by sea was much preferred than the treacherous road to Melbourne. Tooradin was always a sea community. 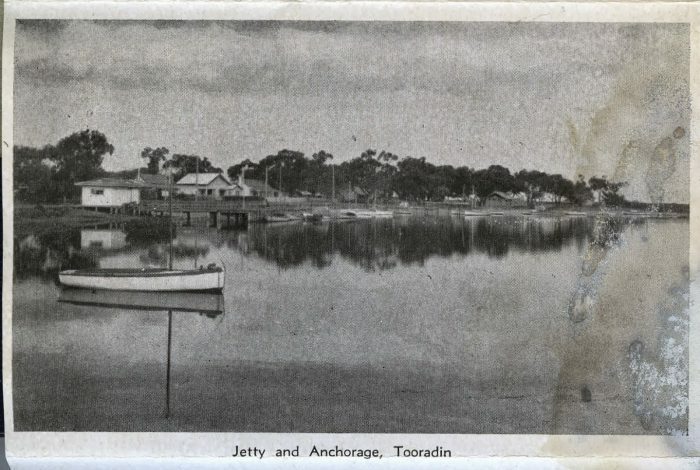 The village that grew in the 1870s was immersed in the culture of the sea and the industries that it could support. 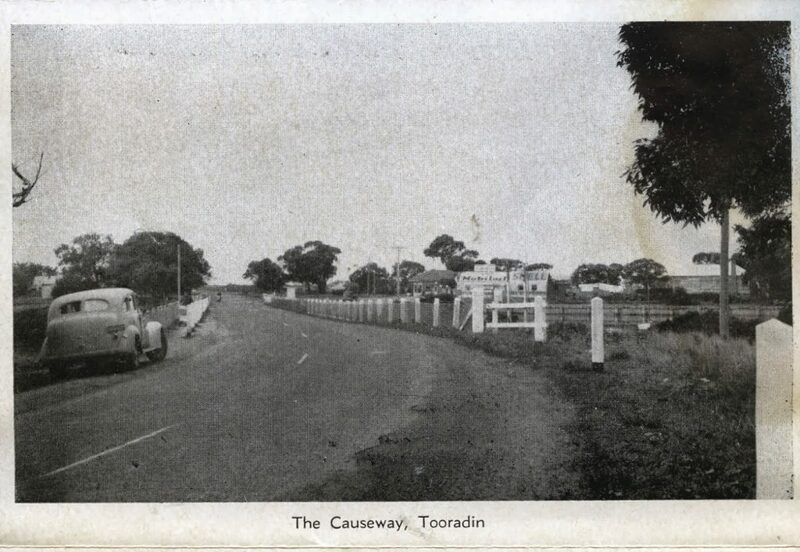 The railway came through Tooradin in 1885 and signalled the beginning of Tooradin’s great tourism days. Recreation activities were enormously popular during the 1890s. 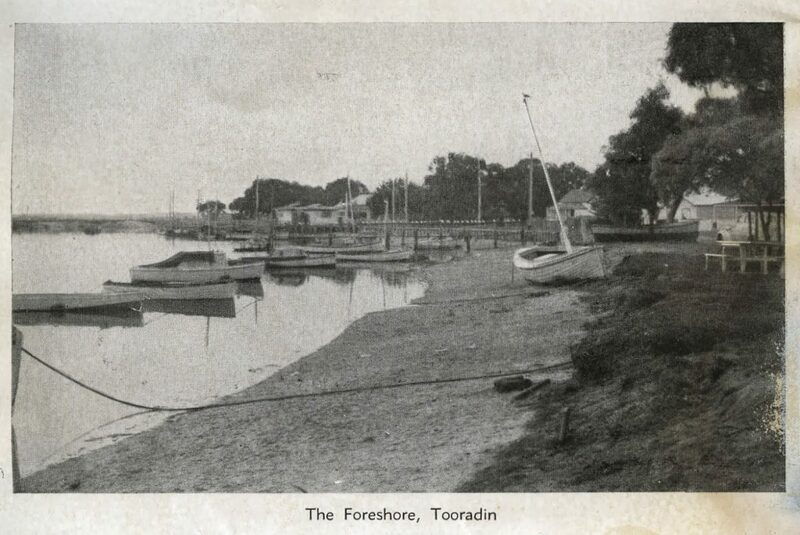 Tooradin’s booming fishing industry relied heavily on the railway to transport freshly caught fish. 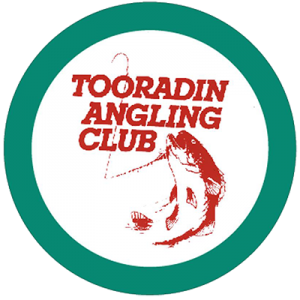 The fish were packed in ice for the journey to Melbourne. 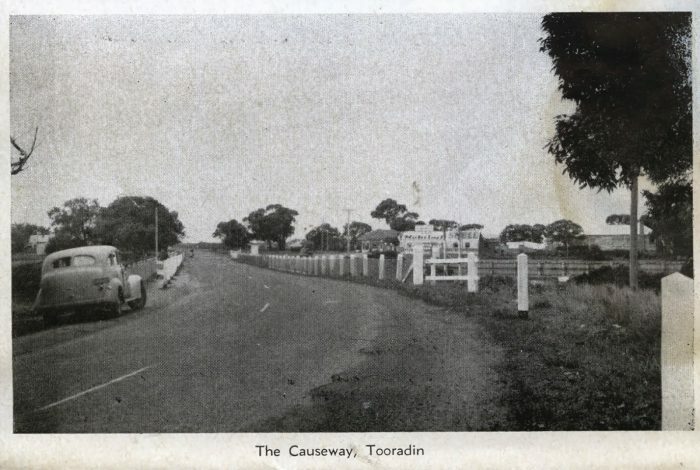 Tooradin railway station was also a delivery point for local produce. 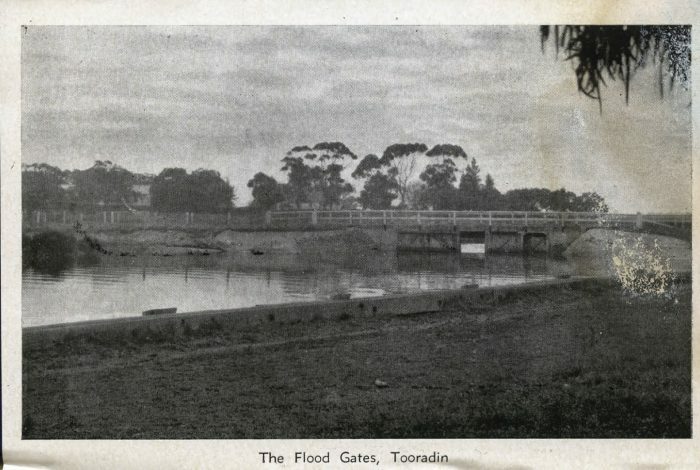 Cattle, sheep and crops were raised on the land that stretched from the foreshore out towards Cardinia. The swimming baths were a great attraction in the early 1900s. They had changing boxes and were popular for 15 years until open bathing was endorsed.